2019 Registration Now Open: May 5, 2019! 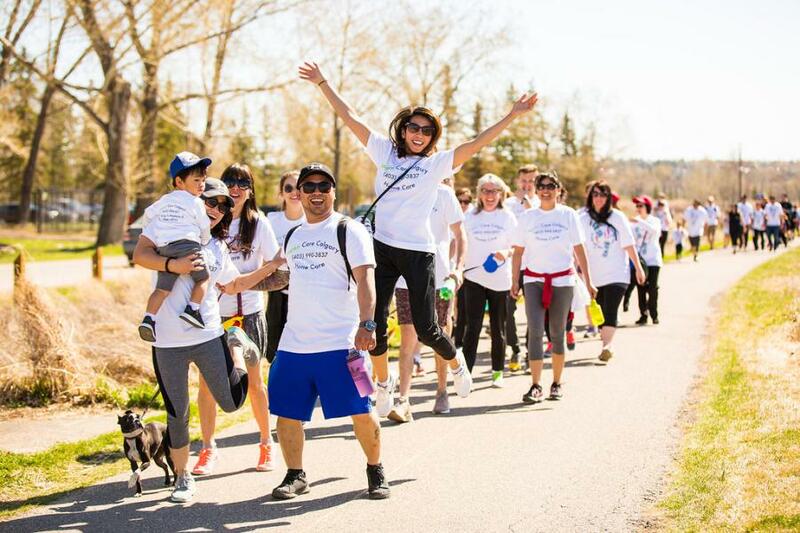 Hike for Hospice Calgary kicks off National Palliative Care Week in Canada. In 2018, more than 600 people joined us for this fun, family and fur-friendly event that raised $110,000 of critical funds and immeasurable awareness for our clients and families. We encourage participants to join us an hour before the 5 km walk begins to enjoy the festivities: hanging out with the Calgary Stampeders & Outriders; enjoying coffee and snacks; capturing your team's outfit at our photobooth; get the kids face-painted and don't forget to bring your furry friend for some treats in our doggie fun zone. Before every hike we honour those that cannot join us. Hikers are invited to honour their person with us at this meaningful community event in the way that they wish (pictures, signs, shirt designs are welcomed). Each year, we rely on more than 50 volunteers to make this event a success! To view current Hike for Hospice 2019 volunteer opportunities, click here. Sage Soirée, held annually in November, is an event to recognize our supporters. Guests enjoy a dinner and presentation from a keynote speaker. The evening also includes a cocktail reception, raffle and silent auction. 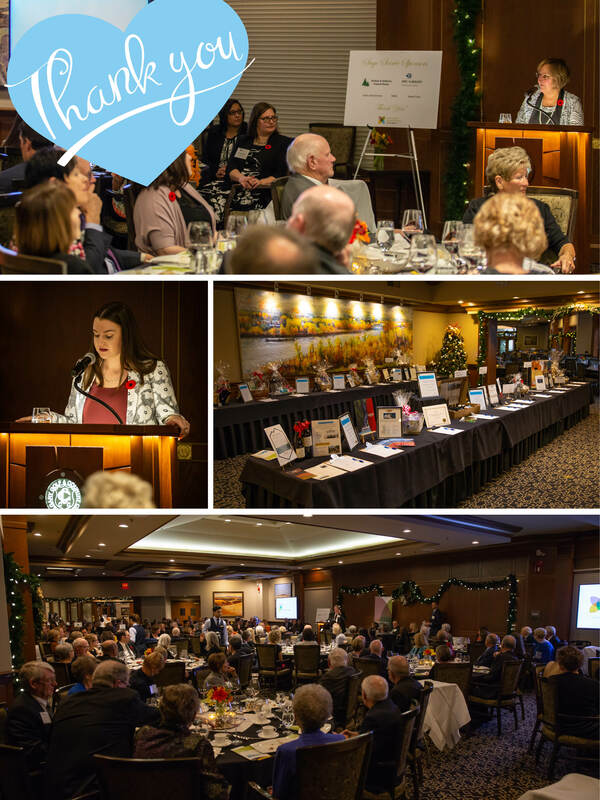 On Thursday, November 1st, 2018, we held the 7th Annual Sage Soirée at the Calgary Golf and Country Club. Once again, we had a very successful year! Thank you to all our sponsors, guests and donors for helping us raise over $55,000 for Hospice Calgary's programs and services. We could not have done it without you! FMAV Calfrac Well Services Keyera Corp. Thank you to everyone who gave an in-kind donation to our silent auction this year. See the full list below. For information about sponsoring or donating to the 2019 Sage Soirée, please contact Carrie Beaudry at 403-263-4525 or carrie.beaudry@hospicecalgary.ca. Seasons of Bowness Park Shakeh Dayal Springbank Cheese Co.
Hospice Calgary greatly benefits from groups in the community hosting fundraising events on our behalf. Funds raised go towards our services, helping our clients. Families, community groups, and businesses have hosted golf tournaments, walks, dances and various other types of events. The awareness raised through these events is immeasurable! 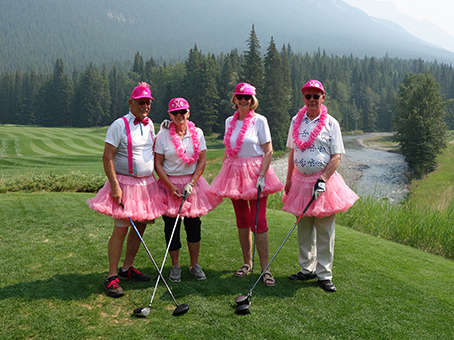 If you want to fundraise for Hospice Calgary, please get in touch with a member of our team at 403-263-4525 or info@hospicecalgary.ca.